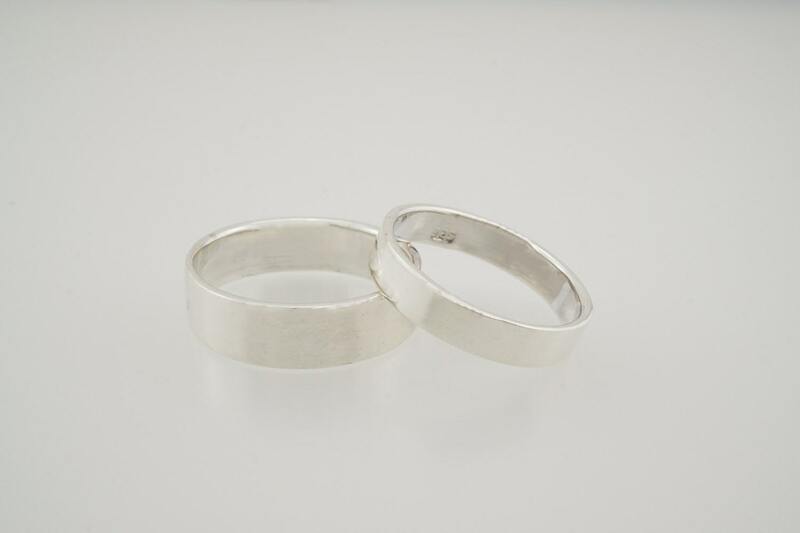 Here is a beautiful wedding band set, perfect for him and her! 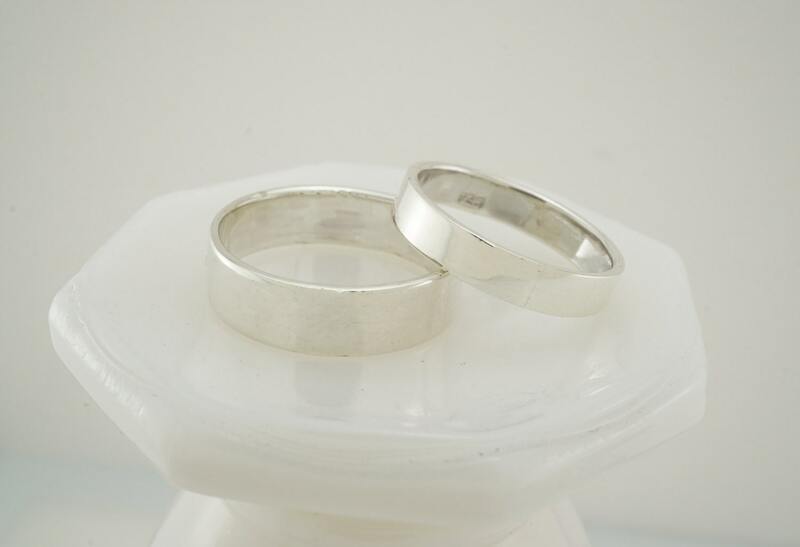 These wedding bands are .925 solid sterling silver! They are a minimalist design, featuring a 4mm band (for a more masculine look), as well as a 3mm band (which creates the perfect feminine touch). These rings are hand forged, and you can choose to have either a shiny finish, or a matte finish. Please be aware that the shiny finish will show its wear and tear over time, as it has a highly polished finish and will show scratches easily. The matte finish is a brushed finish, which will easily stand up to every day wear and last a lifetime! The shiny finish will be default, so if you do not specify which finish you would like, the shiny will be sent. You can let me know in the "notes to seller" section BEFORE you checkout which finish you would prefer.